Be the boss of your own ambition. 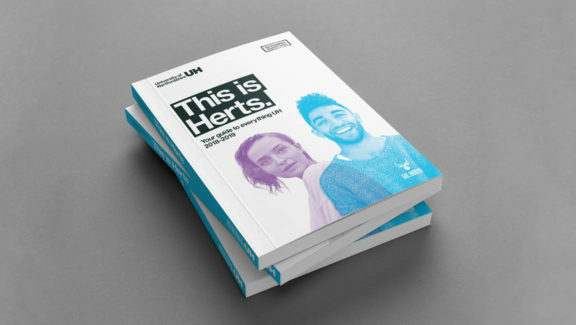 Creating a strong, distinct identity for University of Hertfordshire across campaigns and communications. 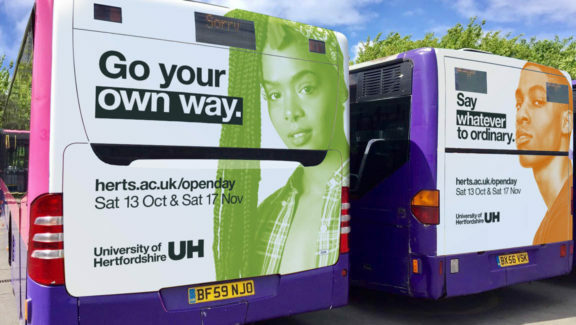 Like all universities today, the University of Hertfordshire has to work hard to attract students and to stand out from the crowd. 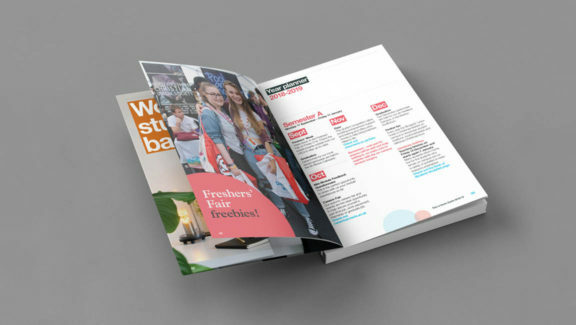 Our brief was to develop a distinct voice and style of communications that would work for in-life student comms as well as student recruitment and Clearing campaigns. We began by understanding the university’s point of difference and how best to engage their different audiences. 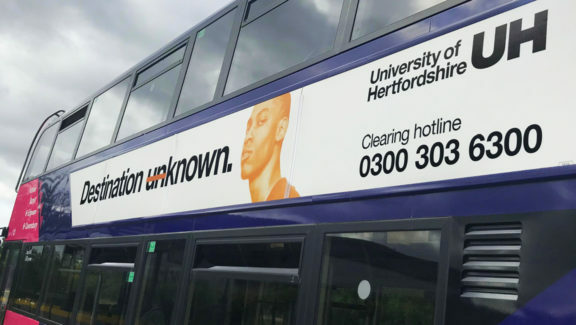 University of Hertfordshire students are focused individuals united by a desire to achieve and change their lives for the better. Many commute from their homes on a daily basis. The university has an excellent record in helping students achieve their employment goals by providing a safe, diverse and forward-thinking learning environment. It’s a platform that prepares students for the real world, empowering them to take control of their future. 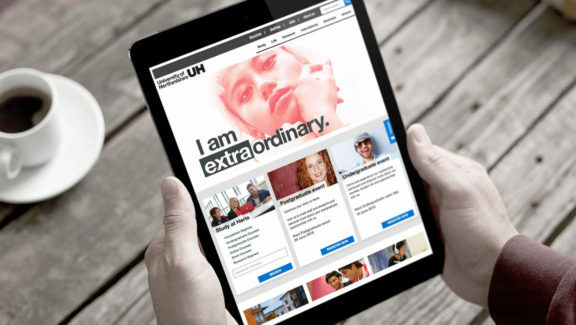 Much of the messaging and styling in the higher education market is generic and adopts the ‘Explorer’ archetype. We identified a clear space for a bold, punchy and direct tone. The tone of voice is pivotal – specifically the student communications that are direct, packed with confidence and positively-framed. 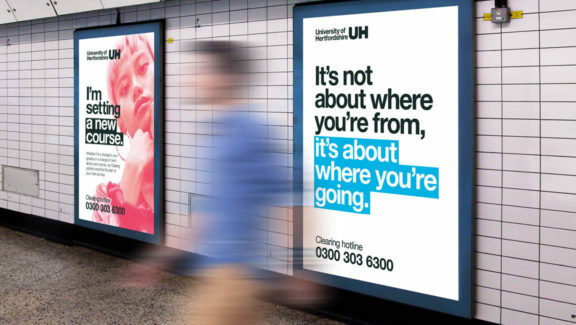 Bold, ambitious statements are dialled down when speaking to businesses and professional bodies but the university still communicates with a straight-talking voice underpinned by professional assurance. Our new creative style makes use of the university’s sharp, modern Helvetica typography and a distinctive contemporary colour treatment. There’s flexibility with each campaign and sub-brand owning a distinct visual style whilst still being recognisable as part of the overall brand look and feel. ‘Be the boss of your own ambition’. 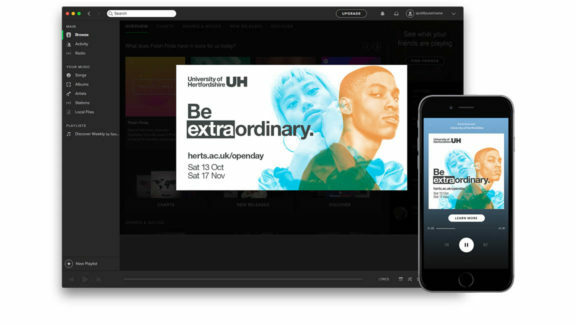 Campaigns have appeared on public transport media, as audio and screen ads on Spotify, across many digital platforms as well as throughout the university itself on banners and in their annual student handbook.